First of all let me start by saying I love tools. Old, new, power, hand it doesn’t matter. For some activities you must have tools and sometime special tools, other times you can make do with something close or cobble something together. 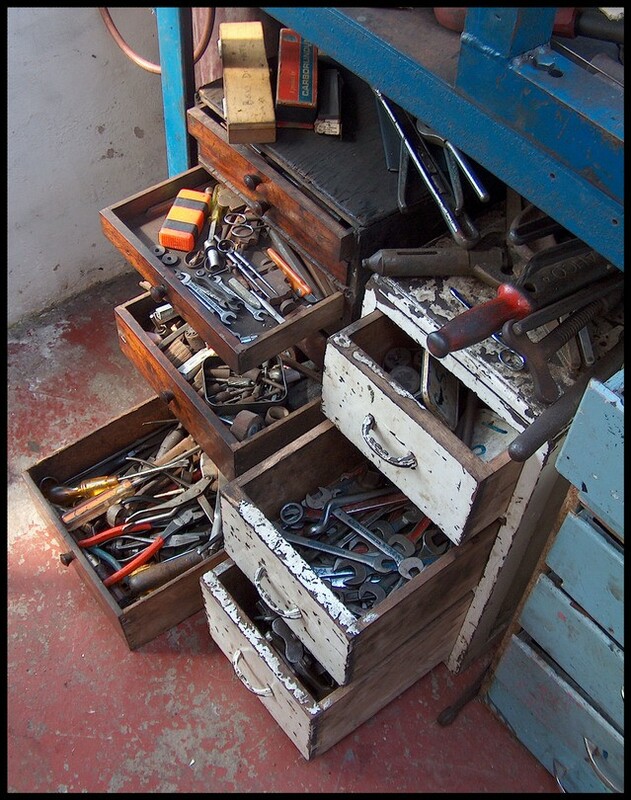 I believe that everyone (and I do mean everyone) should own some basic hand tools, further if you own or take care of a home there are some additional tools that you should have. Then as you develop additional interests you can acquire tools specific to that area of work i.e. plumbing, mechanic, woodworking. Tools will be assigned levels to give you our recommendation on when you buy them as your progress toward being a well tooled man or woman. Note that everyone’s circumstances are different so this should just be viewed as guidance. Each tool or category of tool will be described along with why you need it, how flexible/specialized it is. Level 0 are things that I believe every person should have, this will be a short list and will only let you do the very basics. Even those that live in an apartment should have the level 0 kit However everyone needs to start somewhere and this will be a set that doesn’t cost that much and doesn’t take up too much room. From there we will go to level 1 which is designed for the home owner and again are things that I consider to be the “must-haves” for anyone that wants to do their own projects around their house/property. We will try very hard to have options depending on your budget including answering “if I can only buy one, which one should it be”. I also consider what you have in the kitchen to be tools and while I’m a little less qualified to speak in this area we will try to provide sound guidance. One of my favorites from the Food Network is Alton Brown and in his book on Gear For You Kitchen he describes moving everything out from his kitchen and putting it in the basement. Then when he needed something he went down and got it and in the end he was surprised how few things he really needed. I feel this is the case for many things we have, we may buy large sets of things thinking the company that put the set together must know what we need. However I suspect that many times it is the case they put together sets to sell more product. If you are just starting out on building your tool collection I hope this series will help you. 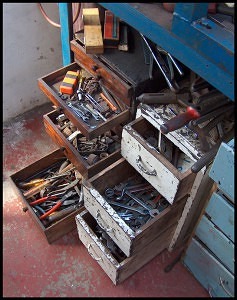 I’ve seen many articles and discussions on building a tool collection and I always felt they overwhelmed the new user with too many options and too many choices. This series will answer the question “What should I buy first” so analysis paralysis will not set in. if you don’t have everything in level 0 seriously look at buying them first. Next level 1 will likely be a “should have for most people who would read about tools on this or any other web site. Further there will be projects that are focused on learning how to use a particular tool to help build skills. I hope you enjoy this series and everything will be indexed on the Tool Recommendations page.